Malaysia Airlines plane en route from Amsterdam to Kuala Lumpur, crashed near the town of Torez in the Donetsk Region of Ukraine, where Kiev’s special military operation against independence forces is currently underway. According to preliminary data, 295 people were on board the crashed Boeing-777. Death toll was later updated to 298. 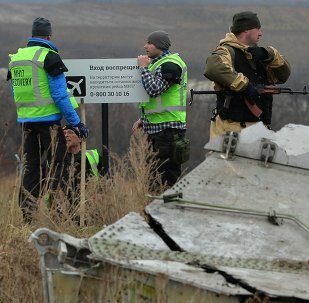 The Dutch Safety Board leading Malaysia Airline’s Flight MH17 investigation in Ukraine is considering evidence on the tragedy from all sources, the Board’s spokesperson Sara Vernooj told RIA Novosti Wednesday. An eyewitness to the events surrounding the downing of MH17 has given testimony to Russian investigators using a polygraph test, providing a clear and consistent account of events leading up to the tragedy. The Dutch broadcaster RTL Nieuws claims that it possesses photos proving that the MH17 crash was caused by an anti-aircraft missile fired from the ground, the Dutch NL Times reported Tuesday. According to the safety board, once the wreckage has arrived in the Netherlands, it will be stored and investigated at the Gilze Rijen Air Base. A part of the aircraft will be reconstructed there. An amateur image allegedly showing the last moments of MH17 flight needs to be checked for authenticity before making any conclusions, a Russian civil aviation official said Friday. Commenting on the reasons behind the delays in the removal of the debris from the MH17 crash site, DPR head Alexander Zakharchenko said that they were caused by the Dutch side. 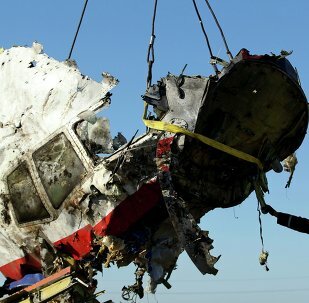 Andrei Kelin, Russian envoy at the Organization for Security and Co-operation in Europe, condemned the apparent unwillingness of Dutch experts to retrieve the wreckage of the Malaysian Boeing 777 from the eastern Ukraine. The Dutch delegation who arrived at the crash site of the Malaysian MH17 crash didn't like the mention of 'Donetsk People's Republic' in protocol. 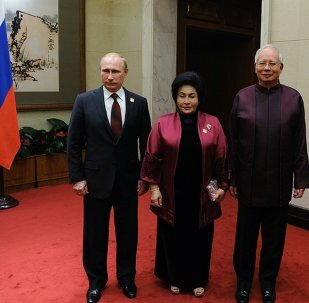 Russian President Putin and Malaysian Prime Minister Razak agreed that the ceasefire in Ukraine's southeast must be upheld by both parties of the conflict. According to a diplomatic note, Berlin considers interpretation in the press of Germany's report of the MH17 crash in eastern Ukraine taken out of context. Russia welcomes the fact that Malaysian experts have finally been allowed into the MH17 crash site for full participation in the investigation, Russian President Putin said. Russian President Putin has also rebuffed claims that the Malaysian MH17 Boeing crash site is under control of independence supporters in eastern Ukraine. 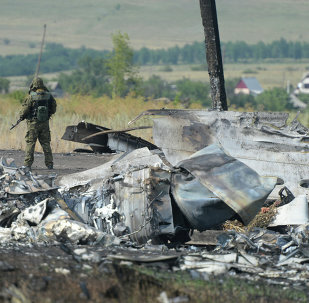 The Malaysian MH17 Boeing wreckage would be removed by train, DPR deputy prime minister said. 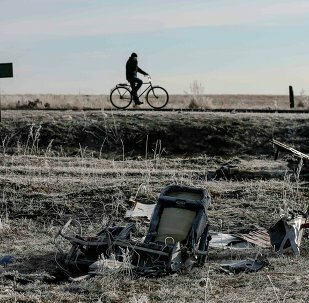 According to a spokesperson for the DPR Transport Ministry, experts have arrived at the MH17 crash site to assess the possibility of aircraft wreckage removal. 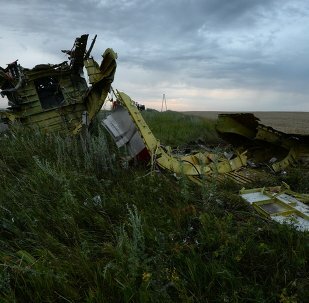 According to the Ukraine's Foreign Minister Pavlo Klimkin, Ukraine fully trusts the Netherlands in their investigation of the MH17 crash in eastern Ukraine and is confident that all those, who were guilty of the catastrophe, will be held accountable. 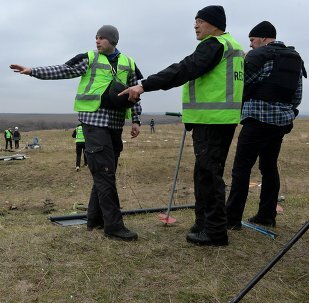 Dutch experts accompanied by OSCE observers and Emergencies Ministry employees from the self-proclaimed Donetsk People’s Republic have arrived at the place of the Malaysian MH17 plane crash in Eastern Ukraine. Malaysia has been invited to play a large part in the MH17 crash investigation and will work closely with the Netherlands and Australia to bring justice to all those responsible for the traged. Retired Lt. Gen. Nikolai Pushkarev, formerly of the Russian Armed Forces' Main Intelligence Directorate (GRU) supposed that western special services know who shot down the Malaysia Airlines flight MH17. Donetsk Deputy Prime Minister Andrei Purgin claims that the first consultation with the representatives of DPR's Emergencies Ministry, Ministry of Transport and police has already been held. The remains of the last Malaysian victim are to be buried in the Netherlands, according to her family's decision.